Recently a reader, Imran, posted a comment asking for clarification on concepts such as project life cycle, project phases and project management process groups. After reading his comments, I realized that many others might be having similar doubts and it would be more appropriate to address his questions through a separate blog post rather than responding through comments. In this article, I’m trying to explain 5 key concepts by drawing an analogy between products and human beings. I hope you’ll find it interesting and useful. Product Life Cycle is the series of phases that represent the evolution of a product, from concept through delivery, growth, maturity, and to retirement. If we think of a human being as a product, then the entire life of the human being from the time it’s conceptualized (or conceived) to its death can be considered as its product life cycle. As every human being has only one life (unless you believe in life after death), every product has one life cycle. Product Phase is a stage in the life of a product. As mentioned above, the series of phases in the life of the product is known as the Product Life Cycle. The phases of human life such as prenatal, childhood, adolescence, adulthood and death can be considered as product phases. Product phases are generally sequential and non-overlapping, though you may see some adults behave like children :). 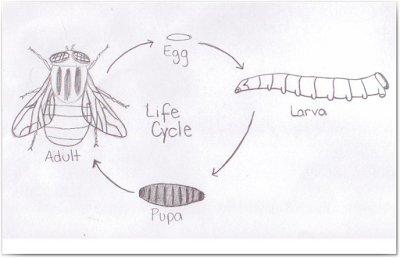 Project Life Cycle is the series of phases that a project passes through from its initiation to its closure. Schooling, college education and work life can be considered as projects. There’s only one project life cycle for every project. Project Phase is a collection of logically related project activities that culminates in the completion of one or more deliverables. For a schooling project, each year (grade) of school can be considered as a project phase. In a schooling project, the phases are (usually) sequential, but in real world projects, the project phases can overlap. Project Management Process Groups are a logical grouping of project management inputs, tools and techniques, and outputs. Also see Process Groups vs Knowledge Areas. Before you enter a new grade, you or your parents (sponsors) identify the need to continue your education, and enroll you into the next grade (initiating). Various aspects (finances, uniforms, books, tuitions, boarding etc.) of your schooling are planned (planning). You attend classes (executing) and teachers evaluate and monitor your progress throughout the year and corrective actions are taken if required (monitoring and controlling). At the end of the year, you take the final exams, get your grades and celebrate (closing). Usually, each of the 5 project management process groups are repeated for each phase of the project. I hope this short article helps you get a gist of these common, but often confusing project management concepts. Your comments and suggestions are welcome as usual. I have a question, why do you say in project phases at this case, schooling has nonsequential phase ? if we consider each year as a phase, we finished one year and start next year, is not sequential ? It was explained very well. Pretty helpful to understand the basics. Could you tell me what are knowledge areas? Fabulous! Very well explained, all fundas clear about it!! Do you have blog written on new things added in PMBOK 5 related to life cycle - predictive, incremental, Iterative, adaptive etc. I also faced the same question a number of times, and I like your approach to explain it. However, I have also made an attempt to it in this way in my post (link removed).